Barr Soft Drinks is investing £6 million in Irn-Bru, the UK’s No.1 flavoured carbonate brand (IRI), with a new campaign that will urge shoppers to ‘Get Some Irn In You’. The heavyweight, national campaign aims to differentiate Irn-Bru from all other carbonates and will be spearheaded by two new adverts that break in April. The campaign will run across a number of media channels, including TV and digital, targeting 16-34 year old carbonates consumers. Eye-catching point-of-sale material has been produced to create in-store/in-depot theatre and drive incremental sales during the campaign. 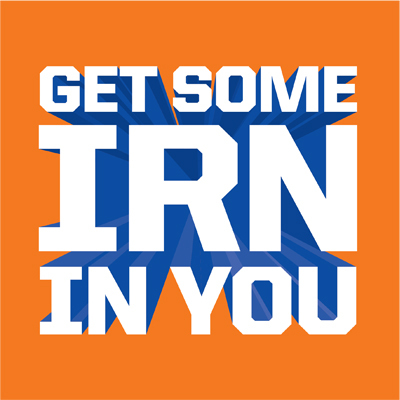 Annual sales of Irn-Bru now exceed £125 million, with year-on-year growth of 9.1% (IRI) well ahead of the total soft drinks market. Since its launch in May 2017, Irn-Bru Xtra, which has extra Irn-Bru taste with no sugar, has been “a phenomenal success”, delivering sales in excess of £33 million, with year-on-year growth of 44.6% (IRI). Sales data confirms that by giving the total Irn-Bru brand more prominence in-store, both Irn-Bru Regular and Xtra will contribute to increased total category sales.